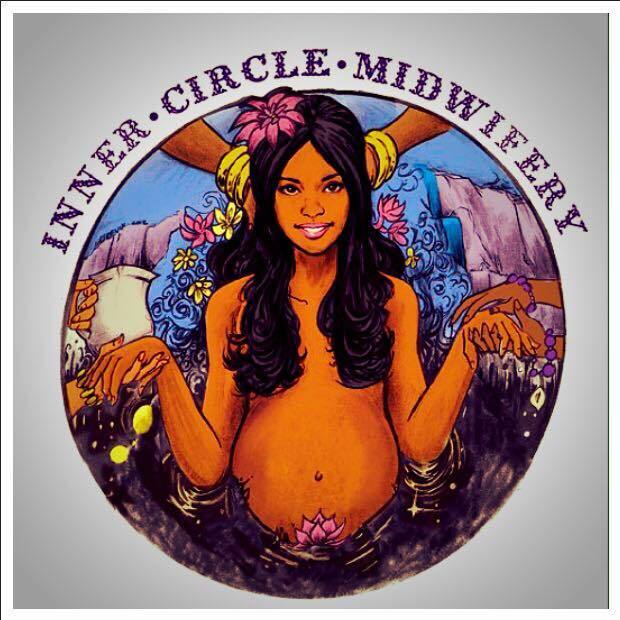 Midwives and Doulas are complementary members of your birth team. While midwives provide clinical care, doulas provide comfort techniques to support you through the birthing process. Over the years, Mama Iman has assisted many birthing families; attending both, home and hospital births. She has over 20 years of experience as a doula and has also served as a monitrice for families. Mama Iman has a deep spiritual commitment to the sacred reality of birth and the power of women to achieve a safe, natural and satisfying birth experience. As an elder mother and grandmother, Mama Iman brings to the birth environment her knowledge of birth as well as a gentle wisdom and compassion to encourage and empower each birthing family..
Naima Black is a full-spectrum doula, a childbirth and reproductive health educator, Certified Lactation Counselor (CLC), and a community activist. She has supported pregnant and parenting women and their families throughout her life, including on the island of Lamu, Kenya where she lived for 21 years. Naima currently coordinates Maternity Care Coalition’s Community Doula & Breastfeeding Program. She created this project 7 years ago to promote and expand childbirth and infant feeding options and support for childbearing families and their communities. Her reputation for approaching health equity as a racial justice issue and as inter-connected to other social and environmental issues is acknowledged and respected. Hannah’s passion for birth was kindled in 2012, when she supported a friend’s home birth and later completed her DONA Birth Doula training with Debra Pascali Bonaro. In 2016, Hannah became a certified Birth Doula under DONA international. Hannah is a member of the Philly Doula Coop and the Maternity Care Coalition’s Community Doula Program. She is a certified yoga instructor and currently teaches prenatal yoga at Studio 34 in West Philadelphia. Hannah is also skilled in the art of placentophagy and is happy to support all clients with placenta medicine craft. Elizabeth Weinstein is a doula, breastfeeding counselor, and movement educator. She works with clients to find connection and trust in their own bodies through gentle and skilled physical and emotional support. She loves birth work for its centrality in many of our culture’s most important pursuits, including honoring women’s bodies, transforming our health care systems, creating safe and connected communities, and upholding traditional ways of healing. As an impromptu support to a birth over a decade ago, Olade was inspired to help other women discover their own inner strength. As a Doula, Olade lovingly empowers birthing mothers to be strong, confident, and capable. Her focuses are in labor support, postpartum care and lactation. She is also a Blessingway Facilitator and Womb Sauna Practitioner.